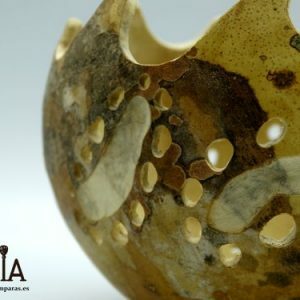 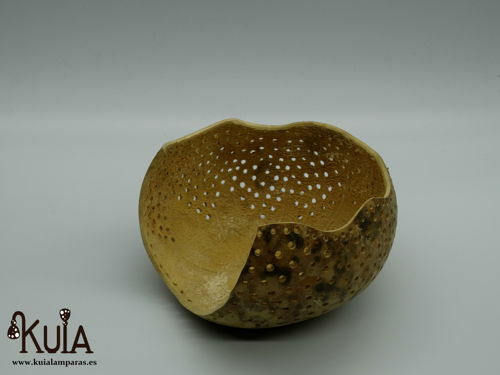 Candle holder for a natural and ecological decoration. 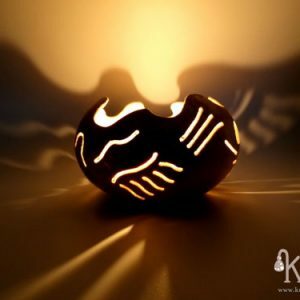 It has been created with pumpkin wood carved in an artisanal way. 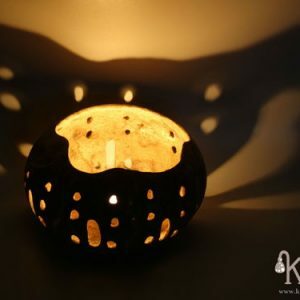 On this occasion one of the faces of the candleholder has been eliminated to be able to gain in lighting. 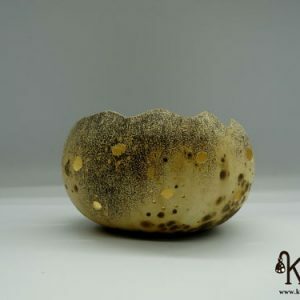 The whole remaining body of the gourd has been carved with holes where it will emit light that when approaching the wall recreates the points in it. 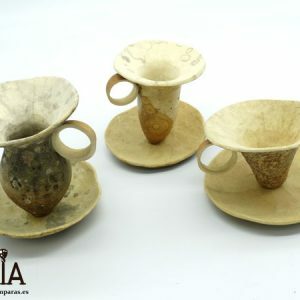 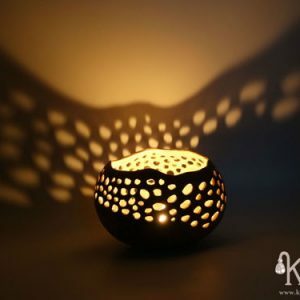 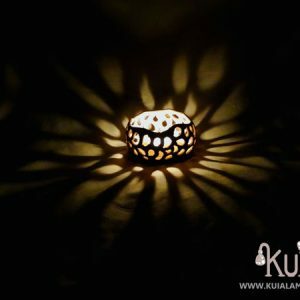 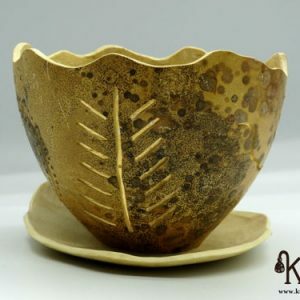 Decorate your house in a unique way with this handmade design candle holder and give it a natural and different look.